Be our guest at GuestHouse Inn & Suites Anchorage, a premier choice among Anchorage hotels for comfort and convenience. Enjoy a sound night's rest and a beautiful view at our conveniently located downtown property where you'll find unobtrusive service, modern amenities and a variety of conveniences within reach. We take pride in understanding the needs of today's business and leisure travelers which is why we're proud to offer a variety of amenities in our Anchorage accommodations for your enjoyment. We look forward to being your home away from home when you travel. Marked by an idyllic location, beautiful backdrop and friendly personalized service, GuestHouse Inn & Suites Anchorage looks forward to welcoming you on your next getaway. To enhance the comfort and convenience of your stay, our Anchorage, Alaska hotel room offers a variety of in-room amenities and perks. GuestHouse Inn & Suites welcomes Anchorage business travelers with a variety of services and amenities designed to make corporate travel comfortable and stress-free. Our hotel near the Ted Stevens International Airport, offers unparalleled convenience when you take advantage of our complimentary shuttle. Start the day with an amazing Alaskan sunrise Anchorage hotel. Enjoy free local calls to local corporations or anyone else in the area and high speed Internet access to make sure you are always connected. For a fun Anchorage family vacation, look no further than GuestHouse Inn & Suites Anchorage located conveniently by the Imaginarium Discovery Center, Alaska Zoo, and bike trails. Our spacious accommodations leave ample room for families to spread out and have a blast and we offer easy access to area attractions. Located in the downtown area, our Anchorage, Alaska family hotel is surrounded by history and numerous family attractions to enjoy the area with kids. While your pet might get a little jealous of your time spent with sled-pulling huskies, they'll still enjoy their time at GuestHouse Inn & Suites. 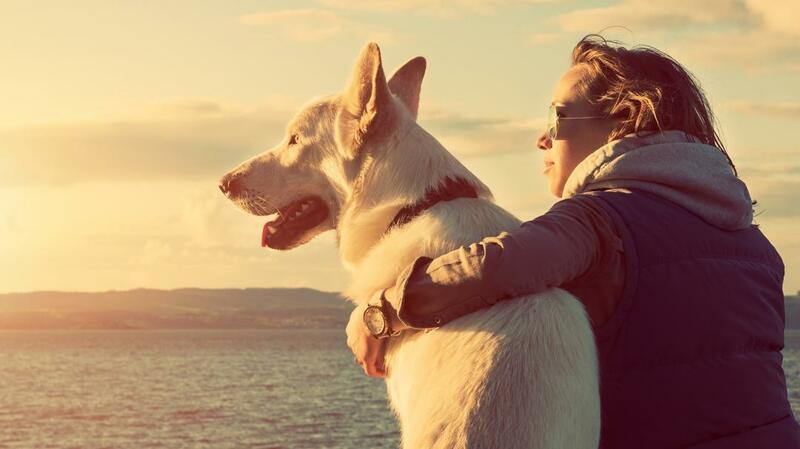 We know how important it is to keep your whole family together while traveling and that's why we're pleased to welcome your furry friends to our pet-friendly Anchorage hotel for a $100 refundable deposit required at check-in and $10 daily fee is added to room rate. Offering friendly service and premium in-room amenities, GuestHouse Inn & Suites is considered to be a top choice for pet-friendly lodging in Anchorage. Please note: pets must be supervised at all times. If you're looking to pamper your pet or take them for a walk, keep in mind our pet-friendly hotel in Anchorage is near a number of groomers, doggy day cares and six popular park areas that have been designated for off-leash dog activity. "The Sizzlin Cafe" is located just a half block from the hotel. Comfortable seating for 168 people is available. The food fare is made up of popular American dishes including everything from omelets, pancakes, hamburgers, deli sandwiches, seafood and steaks. Or browse our list below of many other nearby Anchorage restaurants. The GuestHouse Inn & Suites has 3,000 square feet of Anchorage meeting space available. Catering services are also available from our Anchorage event venue, allowing you the ability to work with our team to craft a menu that will leave your guests feeling satisfied; you may use our caterer or your own. Learn more about hosting an Anchorage conference or social occasion with us by contacting our staff today. GuestHouse Inn & Suites is conveniently located in the downtown area within easy access of many exciting things to do in Anchorage throughout your stay. Take a look at the list below to find an assortment of our favorite Anchorage attractions and ask one of our friendly staff members for even more recommendations while you're here. We look forward to your stay. The Anchorage Museum at Rasmuson Center is one of the best cultural offerings in Anchorage, providing stimulating art, history and contemporary events for visitors and locals. The largest museum in Alaska, the Anchorage Museum features over 20 yearly exhibits and programs on the art, history and cultures of Alaska, playing host to over 200,000 visitors, as well as a full calendar of public programs and art classes. At the Anchorage Museum, visitors can find a unique institution featuring spaces individual to the Alaska landscape. The Museum's Polar Lab is an imposing tribute to the international Arctic and subarctic, and serves as a venue for contemporary artists, scientists and explorers. Explore the Lab and find contemporary art, along with traditional and non-traditional research in multiple disciplines. If you're planning a cultural destination while staying at our Anchorage accommodations, don't miss the upcoming exhibits. This year, the Museum's schedule includes such shows as From Up Here: The Arctic at the Center of the World, which highlights contemporary investigations into the Arctic through the perspective of artists working in film, photographs, installations, and sculptures. The exhibition will continue throughout the museum, with dedicated galleries, an atrium space, and site-specific installations indoors and out. There will also be a number of public programs, including performances and temporary installations in the museum and in the community, as well as a corresponding publication. Separate from the price of admission to the Anchorage Museum, the new Thomas Planetarium uses cutting-edge 3-D graphics, surround sound and a dome screen to transport viewers to the stars, and presents an ongoing program of interactive astronomy demonstrations, educational programs and films. When planning an art trip near our Anchorage hotel, make the Anchorage Museum at Rasmuson Center one of your destinations. Visit the Museum's site today to learn more about visiting hours, programming and more. Spectators from far and wide head to Anchorage each year to catch a glimpse of the world famous Iditarod. This long distance sled dog race has been a real crowd-pleaser since 1973 and kicks off annually on the first Saturday in March. Grab a spot near the starting line when you stay at our Downtown Anchorage hotel. Iditarod mushers and their dogs cover approximately 1,000 miles of varied and often hostile Alaskan terrain during this winter event, which aims to preserve Alaskan huskies and the traditions of sled dog culture. A successful race requires hundreds of volunteers, including local and visiting veterinarians, coordinators, and more. Curious onlookers can gather on Fourth Avenue at D Street or anywhere along the 11-mile Anchorage route to see these ambitious teams before they begin their journey into the wilderness. There are numerous special events hosted before, during, and after the ceremonial start of the Iditarod race in Alaska. The Musher’s Banquet is held each year before the race and includes a plated dinner where the mushers, their friends, family, and fans can mingle. There are also opportunities to go on a public dog kennel tour, lend a helping hand as a volunteer, or watch the race after it begins by air or snowmobile. At the end of a full day of Iditarod activities, you can warm up and enjoy the welcoming accommodations at GuestHouse Inn Anchorage. If you're planning on visiting Alaska, we can already guess you have an adventurous soul. When staying with GuestHouse Inn & Suites, enjoy a full range of exciting Anchorage outdoor activities, including dog sledding, fishing, 4-wheeling, bike tours, hiking and more. Take in the awe-inspiring sights while designing your very own adventure. One thing's for certain, you'll never run out of unique things to do in Anchorage. Anchorage has been called a “bike utopia” by Bicycling Magazine and was ranked among “America's Best Bike Cities.” Mountain bikers will enjoy visiting Kincaid and its 39 miles of looping trails including nine miles of new single-track, or the inclines and single-track of the Hillside trail system. Downhill bikers can ride the lifts of Alyeska Resort and descend more than 2,000 feet to the valley floor. Seeing unexplored wilderness surrounding Anchorage is easy on a 4-wheeling backcountry endeavor. ATV rental companies and tour operators are happy to assist beginners as well as experienced riders for a morning, day, or multi-day adventure. One of the more iconic activities in Alaska is dog sledding. Let a pack of huskies pull a speeding dogsled and musher along a snow-packed trail or opt for a summer tour. From salmon and rainbow trout to Dolly Varden and Arctic grayling, fish are abundant around these parts. Easy access to rivers, lakes and saltwater has also earned Anchorage a spot on Field & Stream magazine’s list of America’s Best Fishing Cities. Get ready to relive Alaska's gold rush era by trying your luck in panning for gold at Crow Creek and Indian Valley mines. 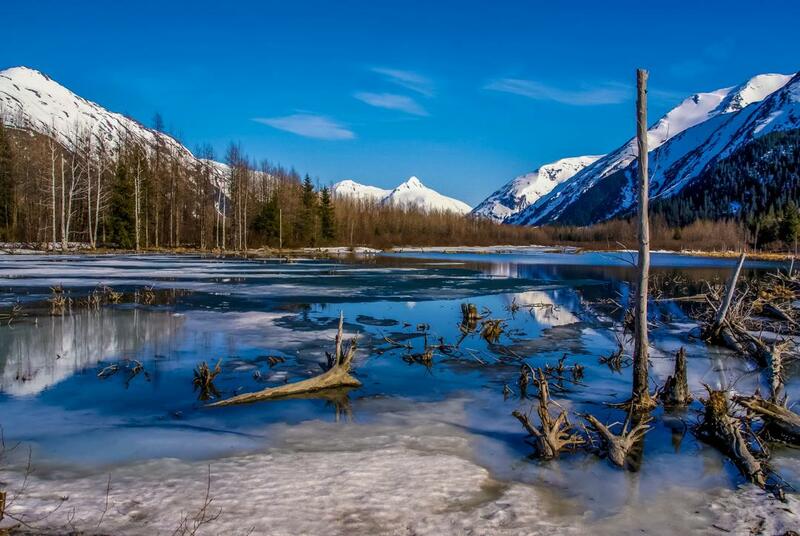 With 155 peaks within Chugach State Park alone, Anchorage hiking trails are seemingly endless. There are numerous tour guides to help you find your way and also opportunities for ice climbing. A year-round attraction, wildlife viewing offers incredible sightseeing at close proximity. Witness amazing animals like moose, bears, eagles and whales.